This is the fifth album offered up by this veteran British outfit. 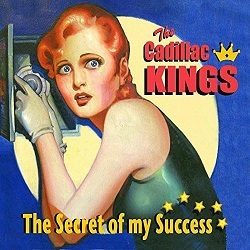 Led by singer, harp man, slide guitarist and principal songwriter Mike Thomas, the Cadillac Kings give listeners a healthy, fourteen songs and fifty eight minutes of mostly original blues. What is refreshing about this versatile band is that they vary their instrumentation. Thomas does not pull his harmonica out of his pocket on every song. He is also a gifted slide guitarist who puts that aspect of his arsenal on display very judicially. As a result both instruments make a statement. The band’s pianist Tim Penn also plays accordion on a few numbers. This gives this band the flexibility to visit many stops along the blues highway from New Orleans, Chicago, Texas and Los Angeles. Mostly up tempo numbers highlight this fun set. This is the debut solo album from the veteran Southern California based bass player. The enigmatic Pedersen has been heard playing with William Clarke, Johnny Dyer, San Pedro Slim and was a member of the legendary band known as The Big Rhythm Combo led by Lynwood Slim. That band also featured Kid Ramos on guitar, Fred Kaplan on keyboards and Richard Innes on drums...not bad company to keep. In 2016, Pedersen emerges with an eleven song program of instrumentals produced by Nathan James at his Sacred Cat Studios in Oceanside, California. 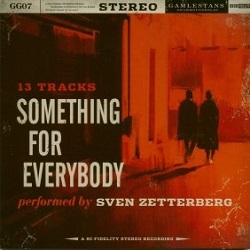 All songs were written and arranged by Pedersen who wields a four string guitar ala Tiny Grimes. 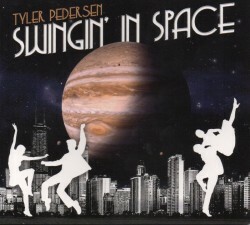 As the album title implies, this album is full of some very swinging and adventurous material. 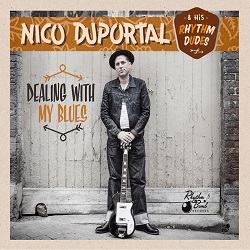 French guitarist, vocalist and songwriter Nico Duportal has long been one of the world’s great purveyors of vintage American music. He and his band are fun, hip, swinging and soulful. Here they offer up thirteen original tunes, mostly penned by Duportal. His Rhythm Dudes are upright bassist Thibaut Chopin, drummer and percussionist Pascal Mucci, tenor sax man Sylvain Tegerizo and Alex Berntein handles the baritone sax duties. All the members of this band provide backing vocals. Original ideas, rooted in several musical traditions including, but not limited to the blues, flow out of Duportal and his bandmates like a Parisian fountain. Nico & His Rhythm Dudes continue to be a lot of fun. 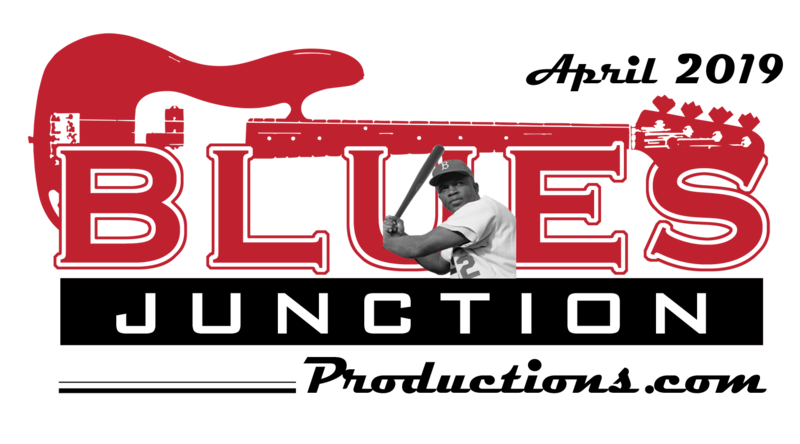 Dealing With My Blues may be their strongest offering to date. Before the legendary blues band The Red Devils caught the attention of producer Rick Rubin, and then subsequently Mick Jagger and Johnny Cash, in the early 90’s, there was The Blue Shadows. That band came about as a result of the breakup of the original Blasters. They were also a precursor to The Knitters and as mentioned The Red Devils. 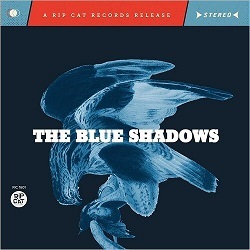 Various incarnations and iterations of all these bands have come and gone through the years but The Blue Shadows brand remained mostly dormant until this release by Rip Cat Records. The band consists of multi-instrumentalist and vocalist Javier (Jake) Matos. He is joined by drummer Bill Bateman and bassist Johnny Bazz of The Blasters. 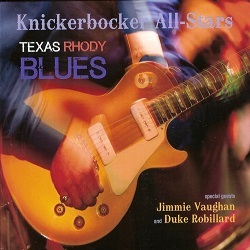 A whole slew of special guests appear on this 2016 release, most notably, Dave Alvin and Kid Ramos, who both play guitar on a couple of tracks. From scorching rockers to down home traditional blues and everything in between this self titled release is as ambitious as it is fun. Matos’ originals highlight this interesting slice of Americana. For several years American blues musicians have been traveling to South America to play at blues festivals in Brazil and Argentina. To keep expenses to a minimum they often travel sans their own bands. They have found that they can find great musicians who have a deep understanding of how to accompany a blues singer. One of these is the Argentine harp player Cesar Valdomir. 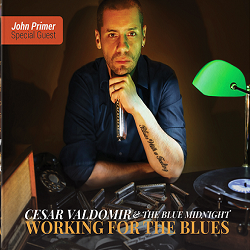 For the past twenty years Valdomir has been, as his album title suggests, working at the blues. 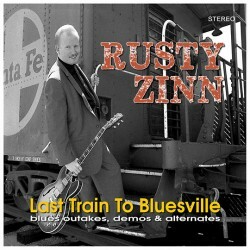 His latest album features three Valodmir originals to go along with some blues standards. He is joined on a couple of tracks by John Primer. Valdomir is a very strong instrumentalist who is still working at mastering the vocal nuances of a foreign language. 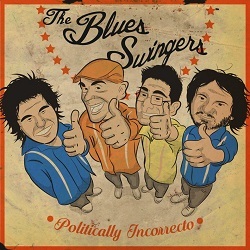 This Santiago, Chile, based blues band continues to make one solid blues album after another. However, at the very end of 2016 they have uncovered the secret formula and have produced a real winner. Politically Incorrecto is their strongest album to date. Guitarist and vocalist Nicolas Wernekinck leads the charge of this four piece ensemble. Harmonica man Erwin lost also makes fine contributions to this album. It’s one thing to have original tunes...it is quite another to have good originals. The Blues Swingers write excellent material which is the most elusive missing ingredient in the blues world. This album is like a dance party that will also put a smile on your face. This late 2016 release represents the first solo album by the veteran Twin Cities based harmonica man, Paul Barry. Barry has been playing professionally since the 70’s. In the 80’s he befriended the great William Clarke and became a protégé of the late blues man. In the 80’s and 90’s, Barry played in two of the Twin Cities best blues bands, Bobby Johnson and the Crowns as well as with Dave McCrae and the Blues Exchange. 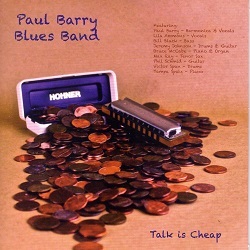 Early last year Paul Barry released an album’s worth of material where he backed the great Otis “Smokey” Smothers shortly before Smothers’ death in 1993. The album That’s Alright was a wonderful surprise. On this brand new CD, Barry is joined by guest vocalist Lila Ammons. She is the granddaughter of the great pianist Albert Ammons and niece of tenor sax great Gene Ammons. Barry is also joined by the cream of the Minnesota blues scene including guitarist Jeremy Johnson. This self produced album was mastered by Kid Andersen at his Greaseland Studios in San Jose, California. 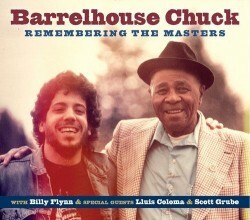 Editors Note: Barellhouse Chuck is in this month’s artist spotlight feature.